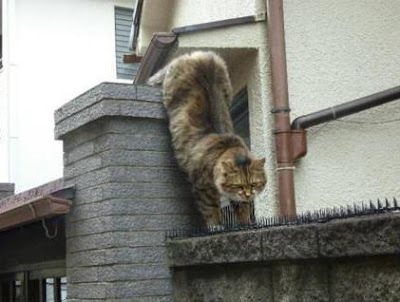 What on earth is this cat doing? Is he a Hindu holy man? Is he on kitty Jackass? Does he have itchy paws? Click to see the answer.